This entry was posted on Tuesday, July 7th, 2009 at 6:21 pm	and is filed under Blog. You can follow any responses to this entry through the RSS 2.0 feed. You can leave a response, or trackback from your own site. Movie budgets are critical to move your screenplay from an idea to a final production for theatrical release and home entertainment. 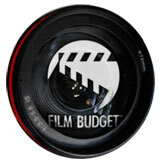 A movie’s budget is the business plan you need to move your project forward. We provide exceptionally detailed movie budgets for your film, television movie, documentary, comedy series and new media product.